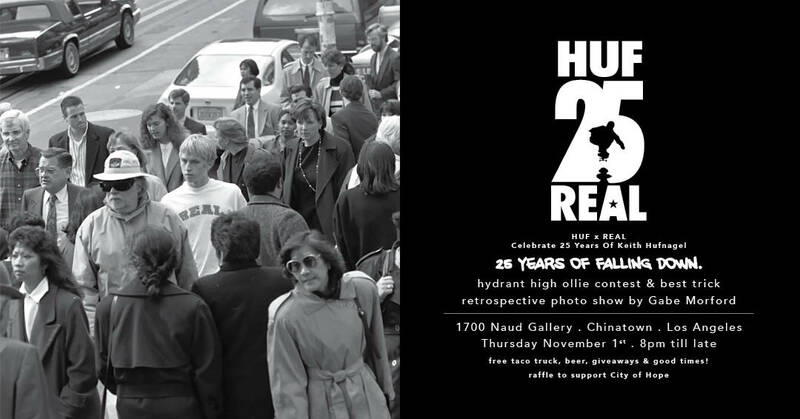 HUF x REAL celebrate 25 years of Keith Hufnagel in Los Angeles’s world famous Chinatown tomorrow night. There will be a hydrant ollie and best trick contest, with a photo retrospective courtesy of Gabe Morford. A raffle will be held to support City of Hope (in remembrance of Dylan Rieder)… and a free taco truck! The event is at 1700 Naud Gallery, and it starts at 8:00 pm.